This entry was posted on March 31, 2010 at 2:28 pm	and is filed under ENGLISH, Horary. 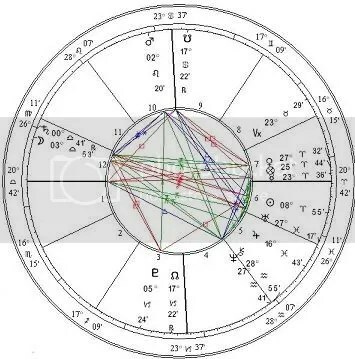 Tagged: ascendant, astrology, chart, delineation, dental, dentist, dignities, Horary, ωριαία, Jupiter, libra, mars, moon, saturn, surgeon, tradition, venus, via combusta. You can follow any responses to this entry through the RSS 2.0 feed. You can leave a response, or trackback from your own site. Wow, what an experience. The surgeon sounds completely unprofessional. Interesting to see the mutual reception by detriment between surgeon and outcome/end of the matter. Thanks for posting this. I never think to use the terms (and other dignities) to describe the people involved, so thanks for including that part. Hey Christine, thank you for the comment and the wish well! I see terms in use for human description in old texts but I am still fiddling around on the exact use in physical description and now I retrospect, I too (venus) was seeing Saturn from fall, I didn’t like what happened in the end, nor his demanding questioning that seemed too into “following strict rules” saturnian at the moment. It is very interesting for me to read the blog. Thank author for it. I like such themes and anything that is connected to this matter. I would like to read more on that site soon. BTW, rather good design that site has, but don’t you think it should be changed once in a few months? Thank you Jane, perhaps one day I change the layout. I often look around the web these days looking help to my hay fever. I like to research about new ideas, techniques that I may not have tried before. I really enjoyed reading the posts on your site. Thank you for sharing.